Stay up to date with our office news by signing up for our eNewsletter. Note: Your information will not be shared. You may unsubscribe at any time from your email. We want to hear from you! 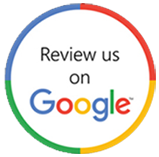 Please take a moment to review us on Google. Like us on Facebook to stay up to date with all the latest offers and office news. October 2018 - Can Obstructive Sleep Apnea Kill You? July 2018 - Happy Canada Day! March 2018 - Do You Know the Importance of Smiling? February 2018 - Is Nitrous Sedation Right for you? January 2018 - What are your new year's resolutions?